Percival started the cheer again. “Arthur! Arthur!” And this time a number of chiefs joined the chorus. Still, for many there was one thing that bothered them. It came out when the crowd quieted again. “I do.” Meryddin stepped forward again and sounded like he waited for this very question. “This is Arthur, son of Uther Pendragon.” He paused while the crowd gasped and then became silent once again. “His mother was Isoulde, wife of Goloris, Duke of Cornwall. Isoulde and Uther were lovers for a time and Arthur was conceived on the night of the full moon. Uther kept Goloris at the wars and away from Tintangle for a whole year so he might not find out, but when the child was born, they knew they needed to hide him, for his own safety. They gave the baby into my hands and I brought him to Peredur to raise as his own son. “Well, what do you know,” Peredur said. Ederyn nudged his friend. Pelenor stepped forward. “Well, you are still a squire. Don’t you forget that. You still have a lot to learn.” Just about everyone laughed even as Percival started again with “Arthur! Arthur!” And this time nearly all of the crowd joined in. Only a few walked out as the Bishop stepped up and virtually shoved Meryddin out of the way. “On your knees son,” Dubricius said kindly, and Arthur, still in a state of shock, got down on his knees. “In the name of the Father, the Son and the Holy Ghost…” The Bishop had a vial of oil in his pocket, like he came prepared, and he anointed Arthur then and there as Arthur Pendragon, High Chief and War Chief of all the Britons, the Cornish and the Welsh. Gerraint had to help Arthur back to his feet while the crowd cheered. Arthur looked seriously at the crowd. “I am still a growing boy, it is true. I will endeavor to become the man worthy of the trust you place in me. But presently, in a word which is a favorite of growing boys everywhere, I declare, Lunch!” He raised Caliburn toward the sky and shouted with great enthusiasm. The squires instantly cheered. The Lords paused to think and then laugh, and then they decided that lunch, though still a bit early, would probably be a good idea. They trooped into the monastery where the cooks were not nearly ready. “Well said,” the Bishop praised Arthur. Every now and then Arthur said, “Bogart, are you getting this?” Meryddin had introduced a Druid named Bogart who had an excellent memory and was there to later recall all of the day’s discussions. Arthur wondered how much of that excellent memory might be tampered with by Meryddin before Arthur heard it again. Quickly on, though, Arthur realized the monk who appeared to be focused on lunch and facilitating the movement of people around the room, also listened in. Arthur imagined the monk as a master of memory himself, assigned by Dubricius no doubt, and Arthur looked forward to comparing the two versions, later. Arthur did not play dumb. That would not have been good because certainly Meryddin knew the boy was bright. But Arthur understood far more of what got discussed than Meryddin may have realized, and he kept that to himself. It was Meryddin’s own fault, because the man had a way of speaking where sometimes he would say only a short phrase or mumble something, like about what the Roman knew, which would go right passed people or over the heads of most men, but which Arthur caught. He had been tutored by Meryddin, after all, and by age fifteen, he had become very good at reading the Master Druid. When supper arrived, Arthur actually felt relieved that Peredur came and got him. He found himself back in the kitchen with Gerraint and Percival, serving at his master’s table. Pelenor, Peredur and Ederyn kept a close watch on Arthur, but Gerraint assured him it was because they felt the need to protect him at this point from undue pressure, which might move him to make some bad decisions. Then Kai, who still called him cousin as he called Peredur uncle, and Bedwyr at least did their best to keep the young Lords at bay. They also tried to convince Loth that this could be a good thing, but Loth got hard-headed. 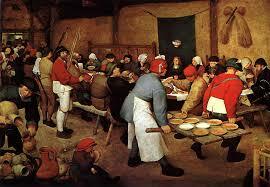 That evening after the squires had their late supper, everyone had questions. Arthur had no certain answers, but he freely admitted he would need the help of all of them in the days and years ahead. Every squire present swore a blood oath to follow Arthur to the gates of Hell if called. Urien, to everyone’s surprise, actually proposed the blood oath, and then cut his finger first. Gerraint said he hoped the gates of Hell would not be necessary, and several young heads nodded, and a few let out a soft, nervous laugh. Then came bedtime, but Arthur and Gerraint stayed up a bit longer. “So now you have a sword of your own,” Gerraint said. 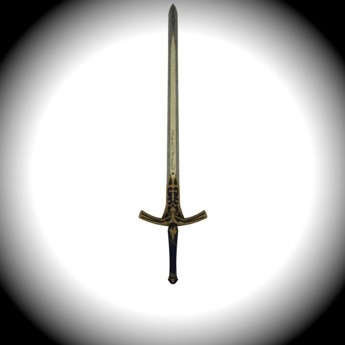 “Caliburn is a fine sword.” Gerraint felt something beside him. It seemed to appear out of nowhere, or Gerraint could not say where, but he did not get startled by it. In fact, his only thought was the hope that Arthur did not see. “Not like Salvation,” Arthur responded. Arthur took it but stared hard at Gerraint. “Boys.” Arthur nodded once more as the voice of Kai sounded out in the dark. “Go to bed.” Arthur and Gerraint did not argue.